The all-new Jeep Compass comes with a choice of one manual and two automatic gearboxes and all are equipped with a 2.4-liter 180hp engine which has to be worked hard for decent progress to be made. Both the exterior and interior are much improved and you can choose from a high-value entry level front-wheel drive Sport trim right up to a seriously capable off-roader in Trailhawk specification. Enhanced driver safety systems are reserved for higher trim levels although standard specification is good throughout. So you like Jeeps, well, at least you like the idea of a Jeep, you live in a large city and have things to do, maybe you’re single, maybe you have a kid or two, dogs are probably part of the picture. You dream of crawling up mountains, barging through mud, ignoring limits, and living to the beat of your own drum, it’s a Jeep thing, and other people just don’t understand. But I do. Jeep just didn't quite have something that fit your lifestyle, with problems ranging from ugliness,to size, to fuel consumption. 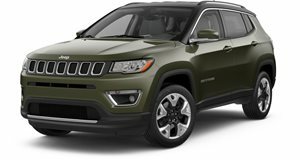 Enter the 2018 Jeep Compass, a vehicle that looks to fill an urban-sized gap with great looks and segment-leading capability. It’s a different kind of Jeep for a different kind of adventure. No, it’s not going to compete with the mighty Wrangler out in the backcountry, but in 4x4 guise it does earn Jeep’s venerated Trail Rated stamp of approval and it will get you much deeper into the woods than competitors in class like the Toyota RAV4, Ford Escape, or god forbid, the Nissan Rogue. That alone should pique the interest of outdoor bros who may or may not be uncomfortably pricing out a Subaru Crosstrek. Getting down to mechanical basics, the Compass is available in two or four-wheel-drive layouts and offers shoppers the selection of a nine-speed automatic, a six-speed automatic, or a six-speed manual. Regardless of driven wheels, there is only one choice of engine, an overmatched 2.4-liter “Tigershark” four-cylinder that kicks out 180 horsepower and 175 pound-feet of torque and is burdened with motivating the Jeep’s 3,500-plus-pound curb weight. The engine is adequate for tooling around the downtown core, but it turns into an ostensible hairdryer when you sample the higher echelons of the rev range on the freeway. 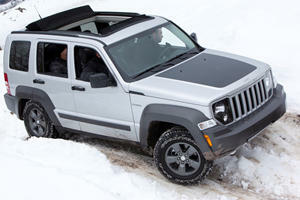 When optioned with Jeep’s Active Drive 4×4 system the Compass includes Selec-Terrain, which offers the adventuring helmsman four modes including Auto, Snow, Sand, and Mud; giving the compact sport-ute some legitimate weaponry for dealing with whatever weirdness you encounter outside, or inside the city, for that matter. Opt for the Trailhawk’d Compass and you gain a unique Rock mode and special Selec-Trac calibration. Whether you loathe or like compact crossovers, Jeep’s commitment to capability in the segment should definitely be acknowledged. The Compass Limited 4x4 that spent a week dealing with my urban millennial lifestyle is the most expensive model in the familial hierarchy and came equipped with a ZF sourced nine-speed automatic which FCA’s software engineers have finally managed to massage into a palatable experience. After the clunky gear hunting experience the transmission was when it first debuted in the redesigned Cherokee a few years ago, the gearbox now flips through the cogs with speedy smoothness. Unfortunately, it’s a bit over-eager to get into the highest available gear which can at times produce a chugging effect as engine speed dips below 1,500 rpm. Step into the torpid feeling throttle at cruising speed and downshifts happen with measured contemplation, almost as if the Compass wants to be absolutely certain that the drop down is necessary. In order to boost fuel economy, all 4x4 models are given a disconnecting rear axle to reduce parasitic mechanical losses when the rear wheels aren’t required, plus there’s an auto stop/start feature common to all models which you should probably just turn off. 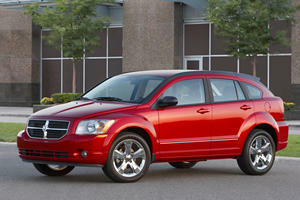 In total, the Compass Limited 4x4 is expected to return 22 miles per gallon in the city and 30 on the highway, for a combined rating of 25 mpg. The body structure is sprung by a fully independent suspension that’s tuned to both soak up inner-city bumps, and climb the side of a mountain if necessary. Despite the longer travel suspension Jeep’s done a good job of making sure the Compass doesn’t feel jostly over broken pavement, or tippy when hilariously attacking highway on-ramps. However, ride comfort is compromised by the optional 19-inch wheels, which look much better than the stock 18-inch rollers. But the low-profile tires betray the suspension’s best efforts at isolating you from the road surface, especially when smashing over inner-city potholes and hopping curbs. Moving inside, the Compass sports a modern and well thought out cabin that includes most of the conveniences expected of the class. This Jazz Blue Pearl Compass Limited 4x4 came stocked with a Ski Grey interior trimmed with black accents. In reality, the grey is closer to white and was extremely susceptible to color rub-off from both blue and black denim. The back-seat will seat three, but it would really only be comfortable for two adults. Overall, headroom and legroom are abundant and there are no glaring blind spots. Cargo capacity is reasonable at 27.2 cubic feet with the rear seats up, and 59.8 cu. ft. with them tucked away. At one point or another during our time together, the cargo hold moved several stolen skids for bonfire use, my entire wardrobe, a pair of bicycles, plus an armchair, a mirror, and a desk, my girlfriend and I purchased from a dead man. It even served as a change room, picnic area, and sunshade at the kart track during the long weekend. Standard interior kit on Limited models includes heated front seats and steering wheel, dual-zone air conditioning, and a rear backup camera, plus there were add-ons like the $695 Beats audio system, a $1,395 dual-pane panoramic sunroof, and the $1,095 navigation-equipped 8.4-inch touchscreen infotainment system. Other optional equipment included the $895 Advanced Safety and Lighting Group, which adds LED lamps at all four corners, Automatic High Beam Control, Lane Departure Warning, and Forward Collision Warning. There was also the $745 Safety and Security Group which brought Blind Spot Monitoring, Rear Park Assist, and Rain Sensing Wipers. This fully loaded Compass Limited 4x4 clocked in at $35,310 before destination charges, a far cry from the model’s $22,440 starting price, but not an abysmal price increase compared to the Limited trim’s $29,095 entry point. As equipped, the Compass Limited 4x4 is a steep ask compared to rivals like the Honda CR-V or Mazda CX-5, both of which offer Adaptive Cruise Control. 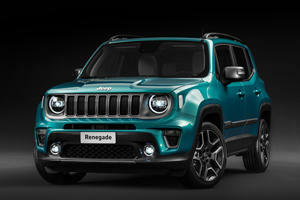 However, the Jeep is the most capable offering in the segment and it’s not surprising that the additional capability comes at an added cost. The question is are you willing to pay a premium for the added capability that comes from a Jeep-branded vehicle, especially if you don't necessarily need more than basic all-wheel-drive? But none of that really matters if you have your heart set on doing the Jeep thing, and if you are, don’t fret, the Compass is the perfect Jeep for the downtown jungle, even if the internet wants to pretend it’s not.